If there’s one thing you don’t want to be without while you’re out, it’s probably a charging cable. Whether it’s at home, work, or while traveling, we always need our charging cables with us to help power our many devices that keep us connected to the world. The problem is, sometimes we have multiple devices that might not use the same type of cables so we’re forced to carry multiple types for our needs. That doesn’t have to be the case anymore as there are now cable solutions out there that feature more than one type of connector. 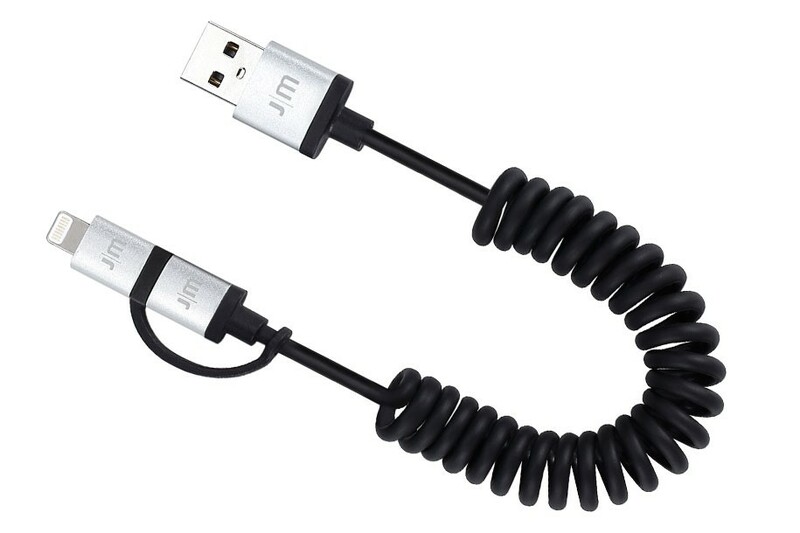 Take for instance the new Just Mobile AluCable Duo Twist. 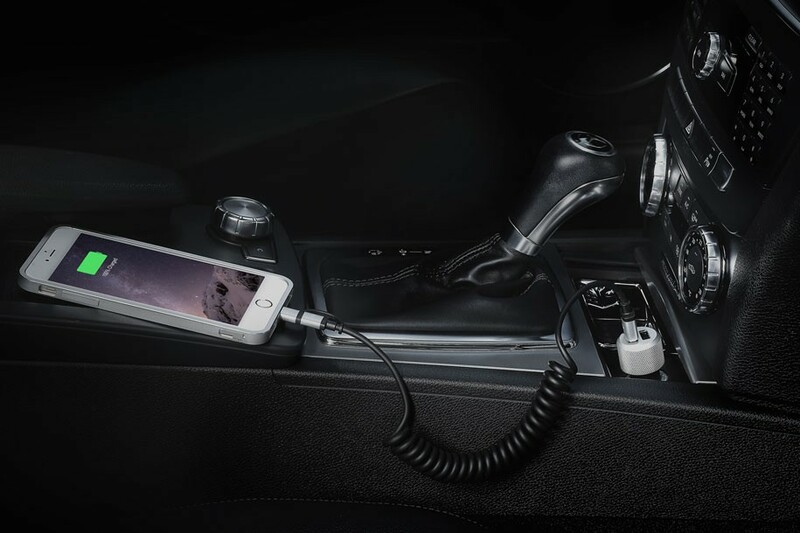 This is a charging cable you can use in your car that features both an Apple Lightning Connector and a Micro-USB connector in one. 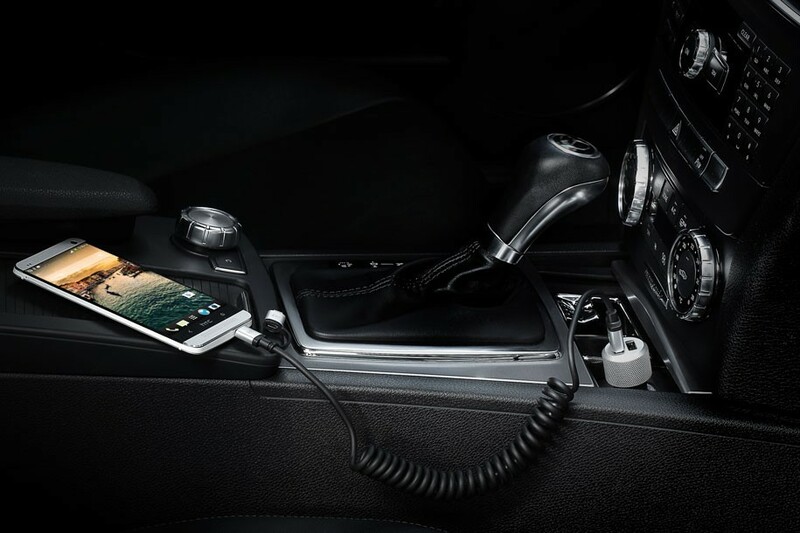 The AluCable Duo Twist isn’t your usual charging cable. 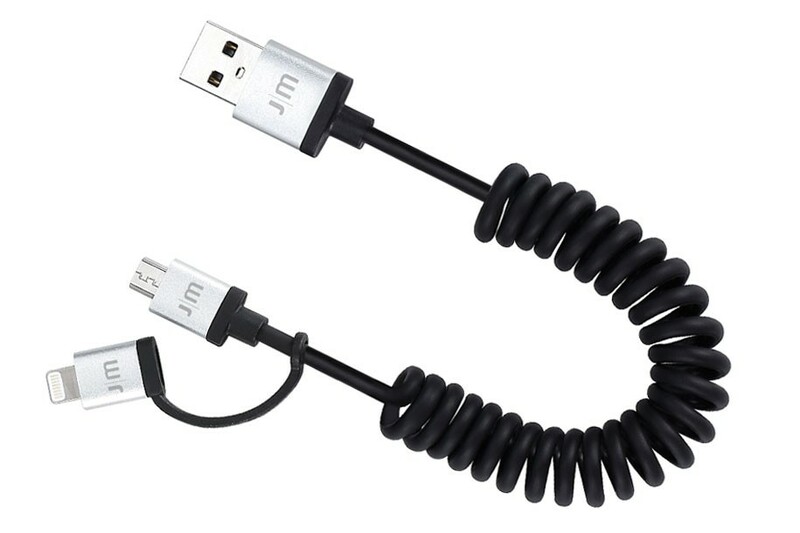 This one features a tangle-free coiled cable that keeps the length of the cord short but can be stretched out to around 4-feet. This helps keep things nice and tidy where you might not need the cable to be that long. 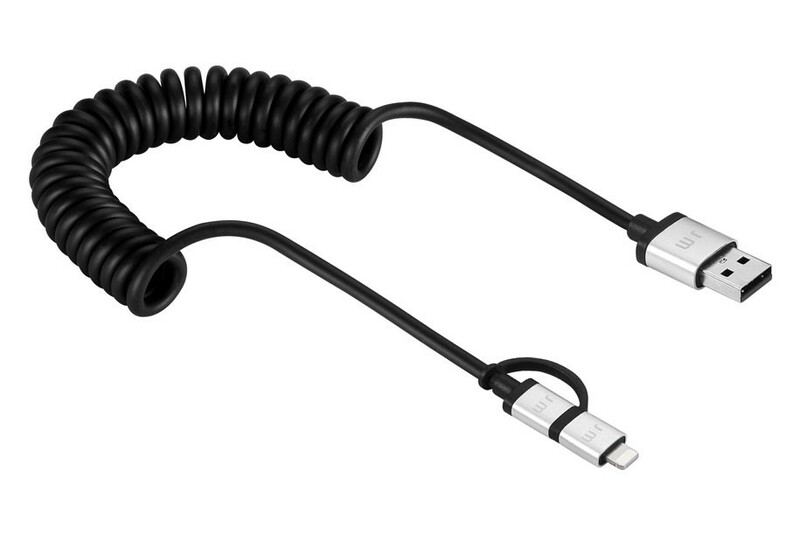 The cable also includes aluminum ends for durability and style. What makes this AluCable a “Duo” is the ability to switch the end from a regular Micro-USB connector to an Apple Certified Lightning connector. The Lightning connector is basically an adapter plug that goes over the Micro-USB and converts it for use with your Apple devices. This part also has aluminum ends on it. I’ve been using the cable for the past couple of weeks and I haven’t had any problems with it so far. Since I’m a multi-device user, the AluCable Duo Twist finally allows for me to charge either my iPhone or Android device without the need to swap cables. I can finally use just one cable to charge either. This helps keep the clutter in my car to a minimum and not only that, they look pretty good too.